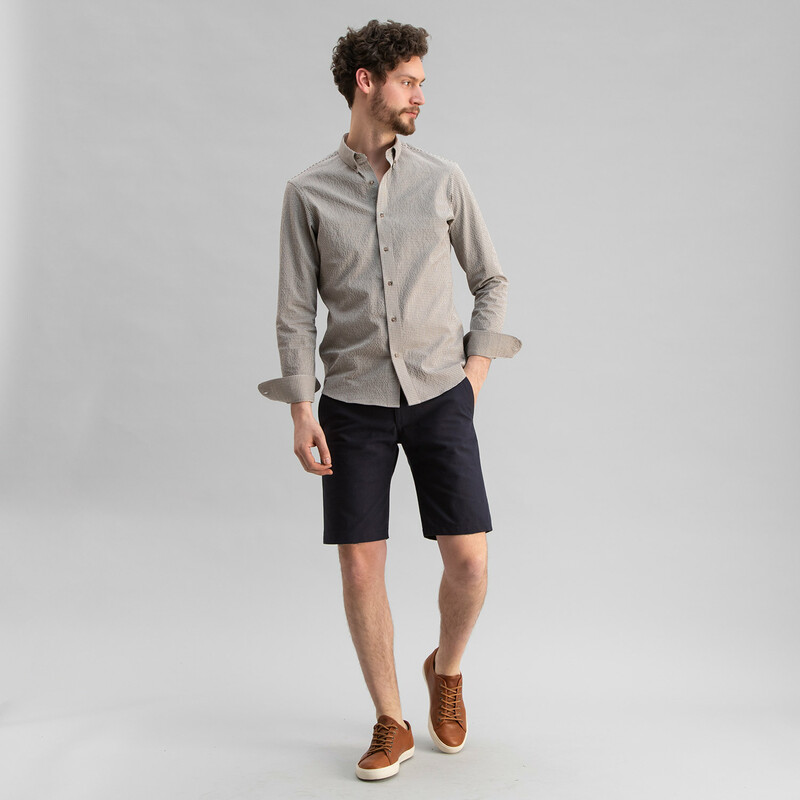 Introducing ShortsOur first shorts in durable 10 oz cotton canvas fabric. Mistake-proof colors, navy and tan. Visit The FactorySchedule a factory tour, shop, and see how we choose to make clothing. When a new product releases, we experience a surge in orders for that product. The increased number of orders creates greater manufacturing efficiencies within our factory, reducing our costs and allowing us to offer a discount. Initial Production Run products ship within 30 days of the product release date. If you need a quicker delivery, opt into Individual Production or Rush Production. Initial Production Run products receive full return and exchange privileges. Made-to-Order Clearance was created to allow all Todd Shelton customers to participate in our clearance events. These items are final sale, no returns or exchanges – recommended for customers with existing fit profiles. If you are new to a category and want to order, we suggest adding a Fit Kit to your order – Fit Kit will identify your fit options before your final product goes into production. Production begins January 25th and orders will ship by February 8th. Please select all size options. 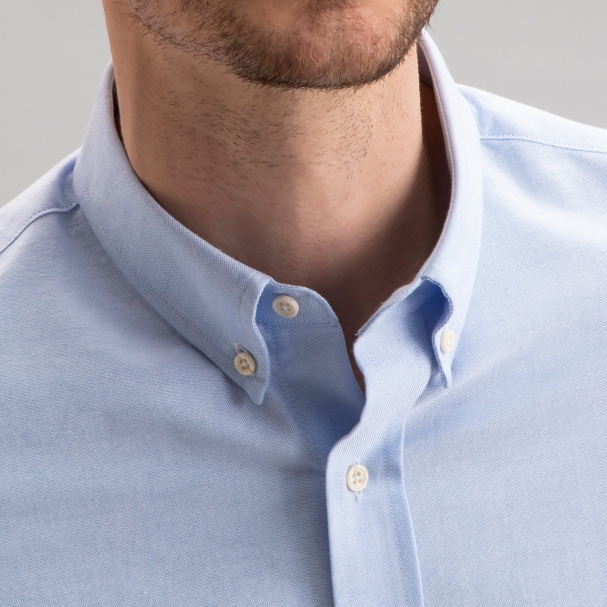 If you're not familiar with Oxford fabric, it's a chunkier shirt fabric - you can easily see the weave pattern, which adds texture. Because of its weight and weave, it holds its shape and compliments nearly every man's body. Oxford is sometimes associated with being a "college professor" shirt fabric, think Dead Poets Society. 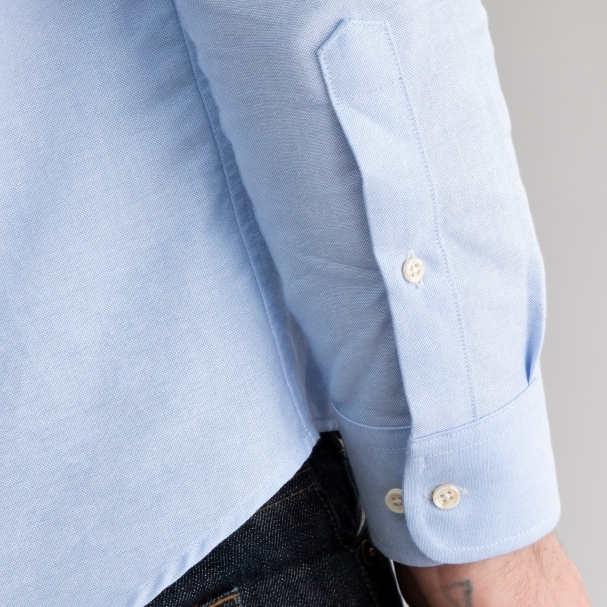 Its surface is not as smooth or refined as a poplin, making it less business-y (professional). And it doesn't have the workwear sensibility of a chambray - so it falls in between those two - and maybe that's why it's embraced by the university set. 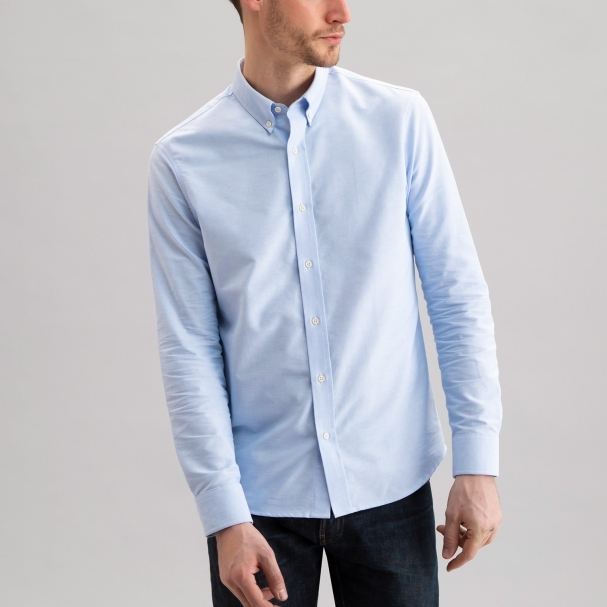 Oxford is one of the Big 3 shirt fabrics; Poplin and Chambray round out the three. 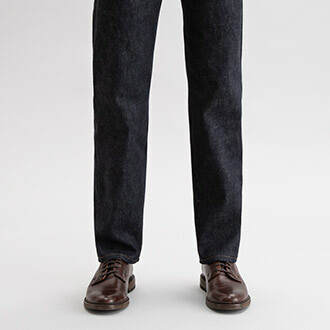 Oxford matches up beautifully with jeans and cotton pants (khakis or chinos). 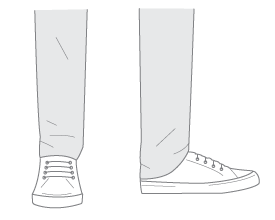 It transitions effortlessly between business casual and social casual. It's the most versatile of the Big 3. 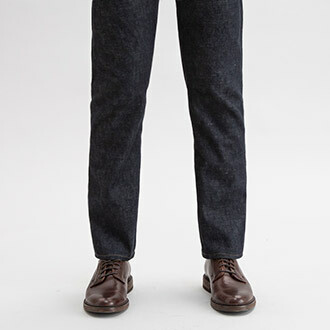 We love this Blue Oxford with a dark jean. It's a versatile outfit that can be worn to dinner parties, concerts, and casual weekends. It's cool and easy. Order with Fit History is for existing customers who want to confirm previous fit options with the opportunity to make adjustments. We review your fit options from previous orders, not just your last order, and email you to confirm before your order goes into production. Is there anything you`d like to discuss before your order goes into production? We`ll contact you via email within one business day. For customers who want to purchase this product, but would like to go through a fit-evaluation program - to identify their size and fit - before the final product is made. 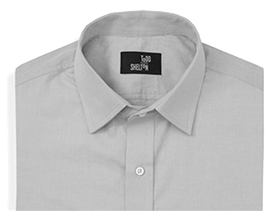 We provide fit-evaluation garments, pre-paid labels, and technical fit support. Fit-evaluation customers get priority in our production-line. Size and fit details are not necessary at this point. Within one buisiness day of receiving your order we will contact you to discuss size and fit. Take a simple fit survey and a fit specialist will respond within one business day. It’s free, easy, and there’s no obligation. Try two sizes at home and find your best combination of fit options. Finding your fit with Fit Kit instead of ordering multiple sizes helps prevent unnecessary garments from being manufactured. If you live in the NYC area, or have travel plans to NYC, we encourage you to visit our factory in East Rutherford, NJ. Get fitted and shop, take a factory tour, and better understand our supply chain. Before your product goes into production, we’ll confirm your fit options via email. About three days after your product arrives, we’ll email to make sure you’re satisfied with the fit. Six weeks later, we’ll send one more email to ensure you continue to be satisfied. And at any time, you can contact us. Think about your leg size in comparison to men who share your waist size. How do you like shirts to fit? With other brands, which fit are you most likely to choose? Which best describes how most shirts fit your seat and thighs? Designed to fit at low ankle. 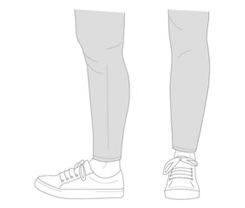 Use this guide as a reference only, factor in what you know about leg length. 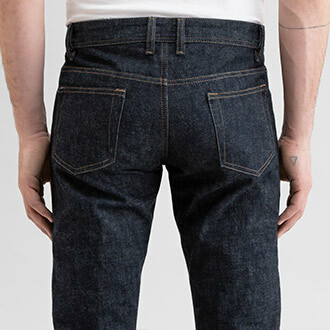 Jeans have a front rise and a back rise. 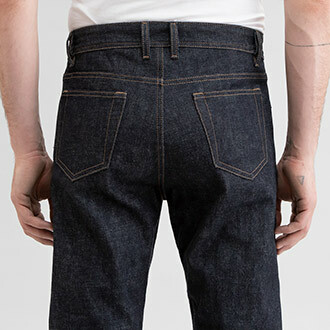 Rise is measured from the top of the waistband down to the crotch seam. Rise controls where the pant sits on your waist or hips. A proper fitting rise can minimize ‘saggy crotch’ and/or ‘plumbers crack’. Standard Rise is our most popular rise. Unless you knowingly have rise issues, we recommend starting with Standard Rise. 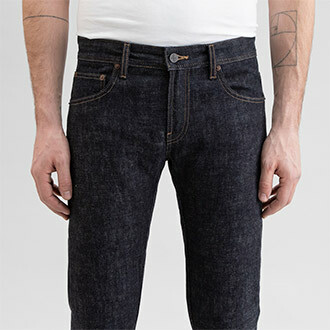 Once you receive a jean, you can better gauge your rise requirements. Then, if you believe you need a different rise, we can exchange. 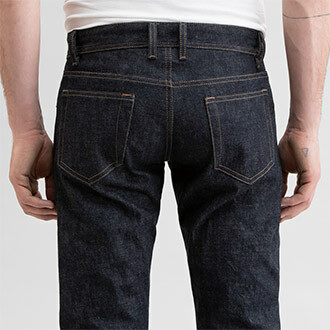 Measure a jean (you currently own) with a front and back rise that fits well. Consider the adjustments you’d like to see, then compare with the measurements on our rise chart. Standard Lower Block is most popular and we recommend it as a starting point for all new customers. 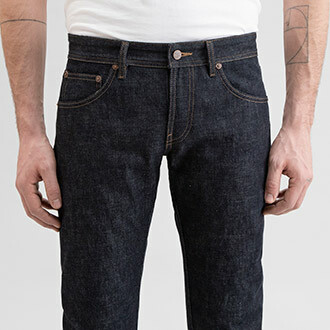 Once you receive a jean, you can better gauge your Lower Block requirements. 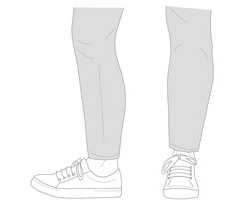 Measure a jean (you currently own) that fits well through the knee and ankle, consider the adjustments you’d like to see, then compare with our sizing charts. 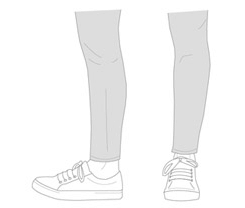 You can find measurements for knee and ankle on our size charts. Use Upper Block to increase or decrease the roominess around your seat and thighs. 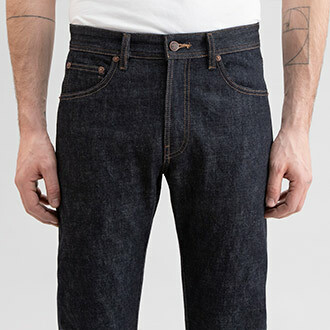 Basic is similar to a ‘Regular Fit’ and is our most popular fit. 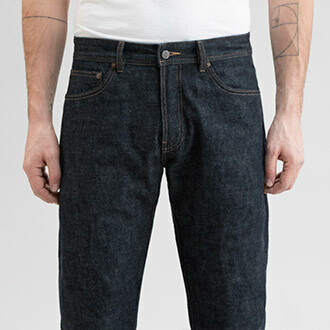 Relaxed is similar to ‘Relaxed Fit’ with other brands; good for guys with muscular thighs. 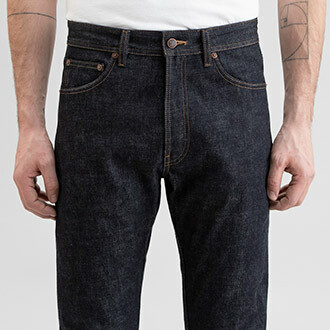 Lean is the least popular of these fits, but it works well for guys who always find ‘Regular Fit’ jeans have too much excess fabric in the seat. Below we show three Upper Block fits on the same guy. He’s wearing a 32 waist. These photos are for reference only, the same Upper Block will look different on you, depending on your seat and thigh size. 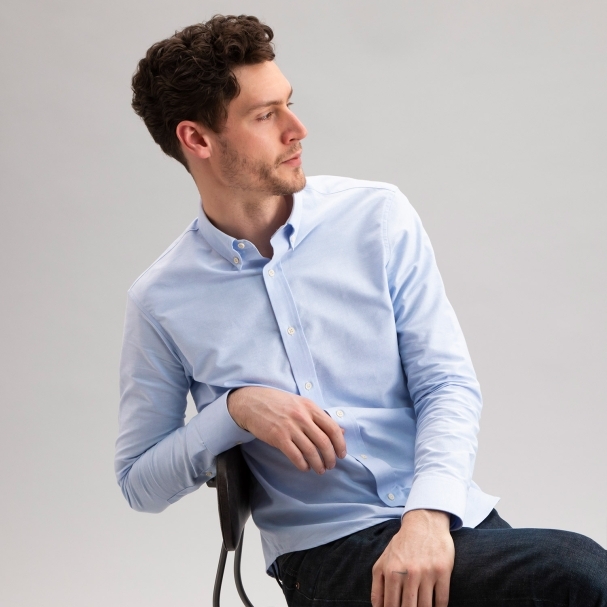 You can find measurements for seat and thigh on our size charts. Exchanges and returns are accepted on full-price items for 30 days after you receive the product. Return and exchange shipping is complimentary on all non-clearance orders for 30 days. New customers are sometimes concerned about getting their fit wrong and having to exchange or return, especially considering our products are made-to-order. However, don't worry, we’ll work together to find your best fit, even if it requires more than one exchange. Even when factoring in exchanges, our on-demand manufacturing business model is far and away more environmentally sustainable than the industry-standard inventory model. And once we’ve worked together to find your fit, things are hyper-sustainable. Additionally, we have a good track record of finding homes for exchanges within our community of customers. Within one business day of placing your order, you will receive a personal email from our customer service team confirming your size and fit. You will have the opportunity to ask sizing questions and make adjustments before your order is released into production. 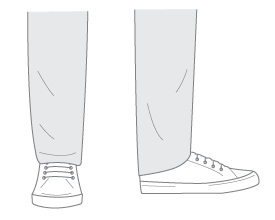 Do you need help with your fit? Answer a few fit questions and our product team will respond within 1 business day. 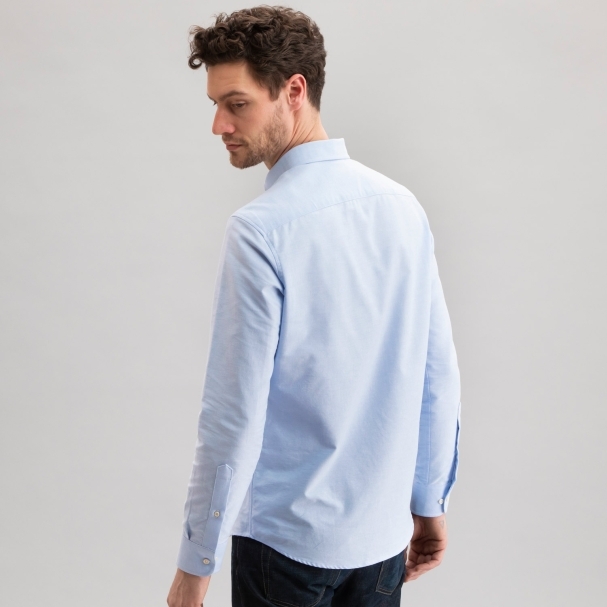 Men's shirt measurements for standard fit options. We offer custom inseam length options in 1/2” increments from 24 to 40. If you require a custom length, we recommend you first order a standard length product to determine your waist and fit options, then exchange for a custom length. Please let us know this is your intention during your Order Confirm discussion. There is no additional charge for custom lengths, however due to their custom nature, we cannot accept returns. To order a custom length product, please contact us. 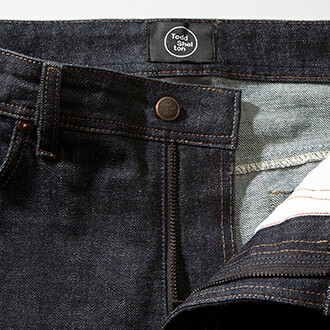 Todd Shelton jeans and pants are available in the following rise options: ¾” or 1 ½” higher rise, and ¾” lower rise. 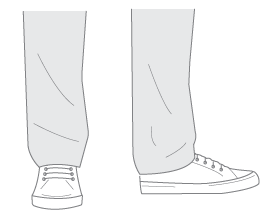 Rise affects where pants fall at the waist. If your pants always slip down, you may need a rise increase. 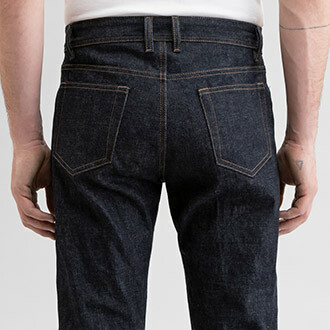 If you experience sagging in the crotch area, you may need a rise reduction. Learn more about rise here. If you require a rise adjustment, we recommend you first order a standard rise product or Fit Kit to determine your waist and fit options. For guidance on a custom rise product, please contact us. On-demand manufacturing is the future of sustainability. With on-demand, a product is manufactured only when the product is needed by the consumer. On-demand opposes traditional inventory-based business models, where products are manufactured by guessing consumer needs. On-demand manufacturing reduces the wasteful use of labor and environmental resources. 10 Day Production is our standard offering. 10 Day Production orders move through production in small batches. Depending on factory capacity and the item you ordered, ship dates can shift plus or minus 3 days. When there’s no particular rush, opt into 30 Day Production and help maximize efficiency inside the factory. 30 Day Production allows us to group together orders that share similar fabrics and colors. If you need to exchange a 30 Day Production order, your exchange is moved into the 10 Day Production queue. You do not have to wait another 30 days for your exchange. Today’s Deals are available in Simple Fits. 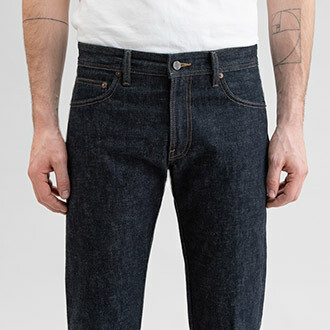 Simple Fits are limited size ranges designed as a gateway for new customers. If you require the full range of Todd Shelton sizes and fits, please shop our full-price collection. Simple Fit products can be exchanged for other Simple Fit sizes. If you require a fit option available only on a full-price item, you can request an exchange and pay the difference between the two items. Exchanges are free and we provide pre-paid return labels. When there’s no particular rush, opt into Group Production - and save $25. Group Production orders allow for increased efficiency within our factory. For example, grouping products together that share similar thread color during manufacturing. Group production adds approximately 2 weeks to our individual production ship dates. How do I opt into Group Production? Select fit options first, after you click “Order Now”, you will be prompted to select a production timeframe. Curious about how this product is made, how it fits, our return/exchange policy, or how you can style it? Feel free to ask us anything and we’ll respond within one business day. Thank you. A product team member will be in touch within one business day. Which product category are you most interested in? New products release with efficiency group pricing for a limited time. Get email alerts when new products release. Instantly receive an email containing your most recent size and fit information. We understand fit is your #1 concern, it's ours too. Our friendly customer service team can guide you through our industry-leading fit options. Email us today to start improving your fit. We know how to help you find your best fit. We will contact you within one businss day. For immediate questions.